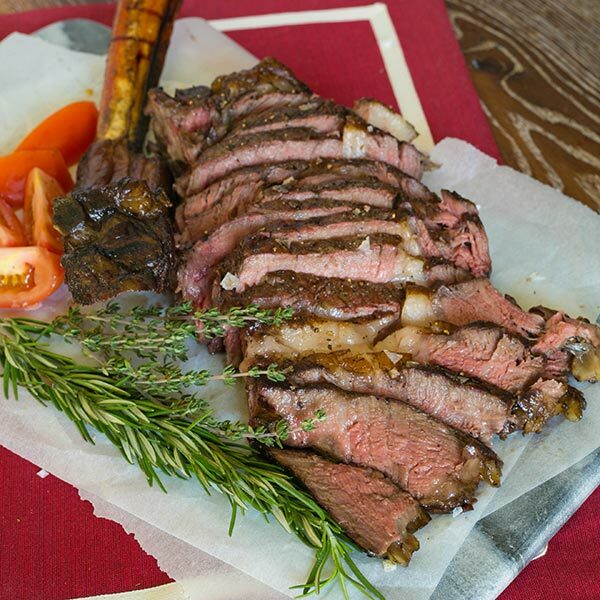 Thanks to my kind sponsors at Snake River Farms, I've done a few sensational Tomahawk steak recipes (Tsiperifery Tomahawk, Coffee Crusted Tomahawk) and they all tasted fabulous. 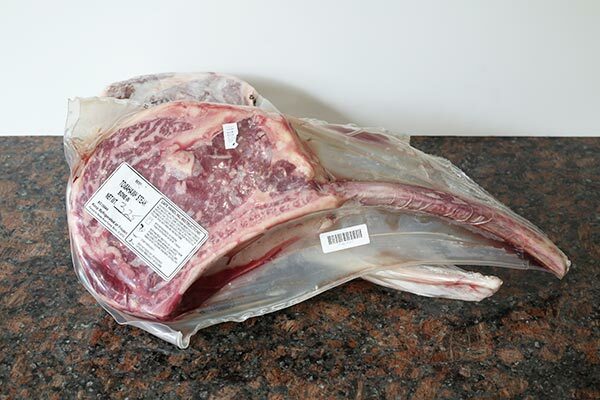 A Tomahawk is a long-bone ribeye and these beauties from SRF have superb beefy flavor, exquisite marbling, and tender silky mouthfeel. When you have such a gorgeous ribeye, it's tempting to put on multiple layers of flavors. 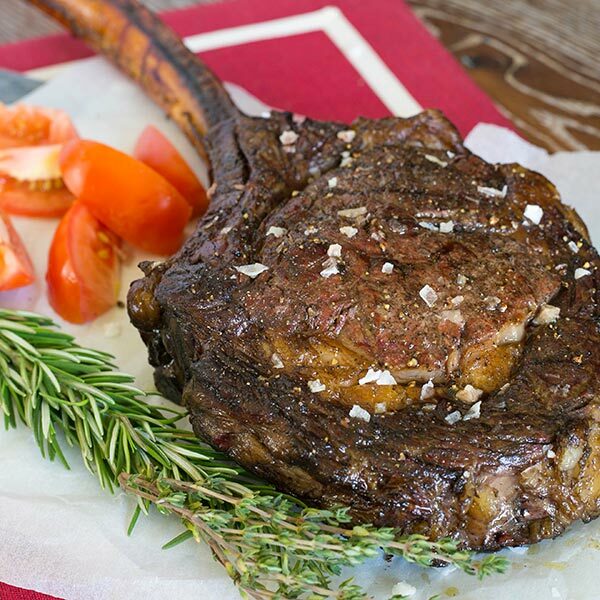 In this recipe for July 4th, I go the other way with a very simple approach and cook the steaks Tuscan style in a charcoal kettle using only salt flakes, black pepper, and good olive oil. 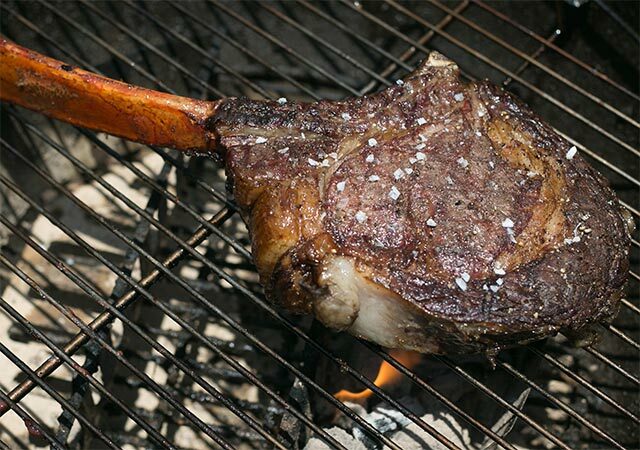 In this rustic style of grilling, the steak is not pre-seasoned. 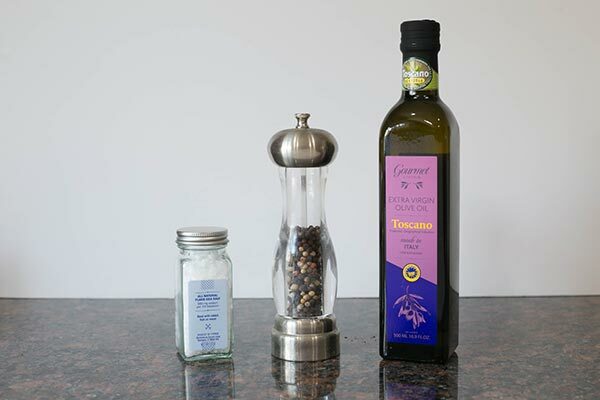 Instead, salt and pepper is applied only when grilling the steak and more is applied after cooking during the olive oil resting phase. After the steaks come off the grill, they are doused with some good extra virgin olive oil and given another treatment of salt flakes and fresh ground black pepper while they rest. Simple, delicious, and sure to please your guests. Oh sigh, I have to buy some of these. This is basically a reverse sear, correct? What made you choose pecan instead of mesquite? 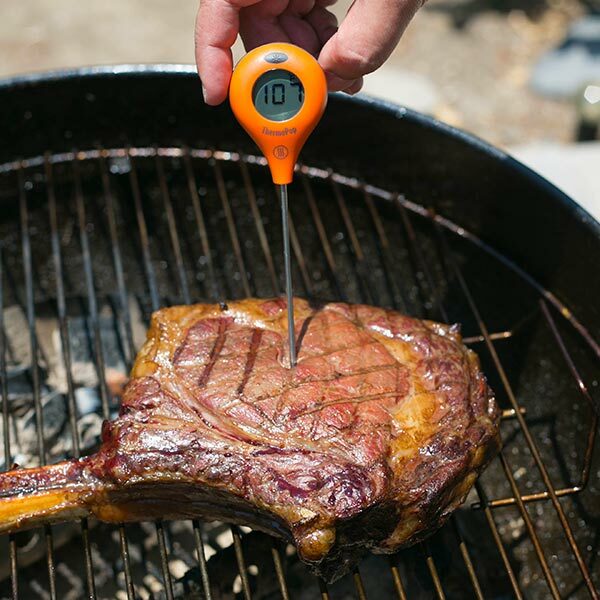 What happens if you don’t rest the steak for 10 minutes and serve it right away?